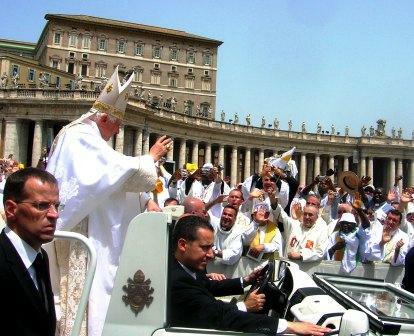 On the evening of Thursday, June 10, we gathered in St. Peter’s Square for adoration and Benediction with the Holy Father. This moving experience on the vigil of the Solemnity of the Sacred Heart of Jesus, combined with his session of questions and answers, made for an incredible night. 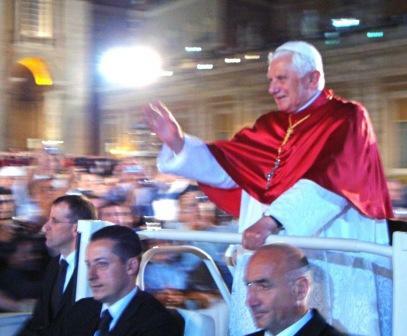 This picture is of Pope Benedict XVI as he arrived in St. Peter’s Square that night.